Megaquarium’s promising concept should’ve yielded a delightful experience, but its complete lack of a freeplay mode is discouraging. Managing an aquarium full of charming little fishies is a wonderful idea, and visually, Megaquarium is adorable. However, all I could think about is how much I’d love to play the game at my own pace. The game restricts you from a majority of the fish, scientific advancements, decorations, and utilities until you go through its mission-based campaign. When you finish all of the objectives in a mission, you’re prompted to move on to the next level. If you decide not to move on, you won’t level up, get any new items to use, and you’re essentially trapped. If you decide to move on, you have to build a new aquarium from scratch. This happens quite a few times, and it completely ruins the pacing. All I want to do is continue to expand on my aquarium and go as far as I possibly can without constantly being stopped. This wouldn’t be an issue if the game provided a freeplay mode, as it’s really Megaquarium’s biggest problem. 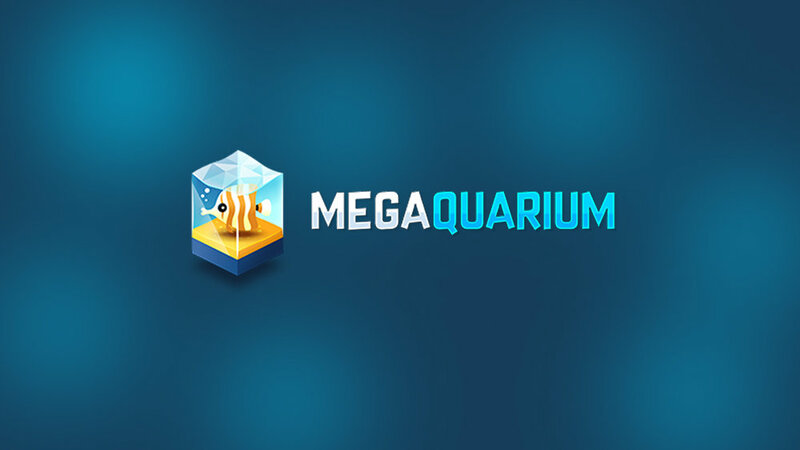 The best aspect of Megaquarium is how relaxing it can be. The game’s core mechanics are reminiscent of similar tycoons, but caring for dozens of different fish feels much more satisfying. The ability to extend your aquarium, add unique types of tanks, paint those tanks, and fill them with fish that require specific needs to thrive provides an experience that’s sometimes relaxing and other times strategic. Utilizing customer satisfaction as a gauge for its progression system was a good idea, as it adds an additional layer to the game. You can level up depending on how significantly consumers enjoy your aquarium, or in other words, how many stars fly out of their head. This mechanic gives the player access to over a hundred new items to play around with, including special fishies. However, you can also lose stars, and although there’s a menu which informs the player of why they’re losing stars, the math rarely adds up. For example, when it showed me dozens of positives and only a couple of mixed reactions, I quickly lost stars. Another time it showed me the same exact reactions yet my total star count increased instead. The game is lovely to look at, but the perspective of the camera can be trippy and even headache inducing. Sometimes walls phase out of existence when you shift the camera at a certain angle, and although this is intentional, it wasn’t done very well.